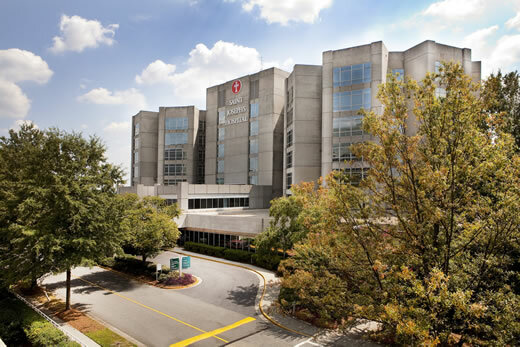 Emory Saint Joseph's Hospital is hosting several community events on June 4 and 5 in recognition of National Cancer Survivors' Day. The annual celebration of life honors cancer survivors and is also a gathering of support for families and caregivers. The Cancer Survivors' Network, a volunteer organization at Emory Saint Joseph's, will be on hand during the events to celebrate survivors as well as provide support and hope to individuals living with cancer. On June 4, the CSN is hosting a Lunch and Learn series at 11:30 a.m. in Emory Saint Joseph's Educational Classroom 1, located on the ground floor of the hospital, near the cafeteria. A complimentary lunch will be served, followed by a Meditation, Exercise, Diet (MED) program featuring line dance instructor Bonnie Price. Throughout the day on June 5, CSN volunteers will be distributing cookies, paper flowers and Cancer Survivor buttons in the Cancer Center and the 7 East inpatient unit at Emory Saint Joseph's. A professional photographer will also take complimentary individual and small group portraits of cancer survivors in the hospital's meditation garden from 10 a.m. to 2 p.m., June 5. 11:30 a.m., June 4: Lunch and Learn series; Meditation, Exercise, Diet (MED) program. RSVP by May 29 at 678-843-8368. 10 a.m. to 2 p.m., June 5: Cancer Survivor Portraits. Call 678-843-5500 to reserve a space.